I didn’t expect an explosion of spring flowers out in the desert. A feast of blue, green, pink, yellow, purple and white cascading through the rocks in an unruly burst of colour and joy. The contrast with the barren land stretching as far as the eye could see with the delicacy of the flowers at my feet was wonderful. But then I hadn’t expected to visit Jericho this morning either. I find myself, unexpectedly, just north of Jericho in the West Bank. This is the part of Israel that is today part of the Palestinian Territories. In the past it was Palestine and before that Trans-Jordania. It is complicated in this part of the world. This morning I travelled with my guide Rami from Jerusalem, through the Judean Hills to Jericho, a city that over-looks the valley of the River Jordan and the Dead Sea. To the west is Tel Aviv and beyond that the Mediterranean Sea to the east is Jordan. This is the Holy Land, the land of the Bible and the land of Moses. This was a land of nomadic people, tribal people moving from place to place. These people were goat herders, shepherds, they moved with the seasons. We know their names from the Bible; Samaritans, Jews, Canaanites. Tragically one of the last of these nomadic groups to survive is the Bedouin who have been almost completely displaced by modern life and infrastructure. Highways now bisect the desert and their wanderings have been seriously curtailed by building, legislation and general intolerance. I glimpse their tatty camp sites, often at the side of a road, similar to the gypsy travellers that wander in England, France or Germany. Today I’ve come to visit the archaeological remains of the ancient city of Jericho. The site here has been excavated on and off for almost a century. Mostly notably by Kathleen Kenyon, a British archaeologist, working here from 1951-58. I have an affection for the place before I even arrive. Kathleen Kenyon was Principal of my college at Oxford. I spent hours as an under-graduate reading her reports on the excavations at Jericho. She was one of the first archaeologists to adopt a stratigraphic approach to excavation, which she learned in England whilst working for Mortimer Wheeler. This means excavating a site in a rigorous scientific manner, layer by layer, to ensure that artefacts and remnants were recorded and therefore dated correctly in relation to each other. Kenyon was also one of the first women to run her own dig – quite an accomplishment in the post-war years. Jericho is what is known as a ‘tell site’ it is a mound of earth that has been built up over thousands of years as a result of continual habitation. It is estimated that people have lived here for at least ten thousand years. When Northern Europeans were still living in caves and wearing bear skins the people of Jericho lived in adobe houses, stored food in granaries and barns and had a permanent, settled (non-nomadic) lifestyle. This constant habitation of a site over thousands of years gives the archaeologist a huge amount of material (literally) to sift through enabling us to learn about lifestyles, family groupings and occupations through careful excavation and examination of artefacts. For example ceramic pots, tools, water carriers, amphora etc. In the fifties researchers were interested to know if ‘The Walls of Jericho’ really did come tumbling down, as stated in The Book of Joshua. To this day the chronology of this event is hotly disputed. Just to the north of Jericho is another amazing archaeological site, this is Hisham’s Palace, one of the oldest and most complete examples of early Islamic architecture to be found in the Middle East. The Palace dates from around the 8th century. Archaeologists believe that the palace, baths and agricultural complex were built by the Umayyad Princes as a hunting lodge and place for relaxation. At it’s height the palace would have included courtyards, fountains, fields irrigated by springs running in channels from the nearby hills. I can imagine beautifully perfumed, flower-filled gardens and tinkling fountains. Excavations have revealed a spectacular mosaic floor in the bath-house. The mosaic shows the Tree of Life surrounded by animals and exotic beasts. The quality of the mosaic is exceptional. As I wander around the site there is a plethora of carved stones, pillars, pediments and key stones lying on the ground. A recent co-operation between the Palestinian Authority and the University of Chicago is extending the excavation work at the site, and is on-going. It is here at Hisham’s Palace that I came across the spring flowers cascading over the broken bones of the palace. Defiant and boisterous. Jubilant and colourful in the cobalt blue, cloudless sky of the West Bank. For me the flowers struck me as a metaphor for peace in the Middle East. That sounds a little simplistic. But actually on a person to person level our similarities far out-weigh our differences. On my travels in Israel and in the West Bank I met exceptionally friendly Jewish, Christian and Muslim people. It’s important to remember that Israeli citizens are both ethnically and in religious terms diverse; Jewish, Christian and Arab. Palestinians too may be Muslim, Christian, or of no faith. We can’t allow politicians and the media (who always have an agenda) to manipulate and frighten us into forgetting that the people of the Middle East, whatever their colour or creed are people – just like you and me. They have children, take care of their families. They survive on hope and ambition and the belief that things will get better. The vast majority of us just want peace and stability, security and love. 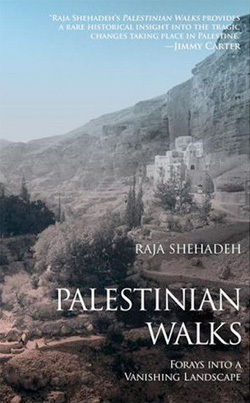 For an amazing and gentle book about Palestine and the Palestinian people I strongly recommend Raja Shehadeh’s Palestinian Walks – it is beautiful, evocative and honest. Nablus soap production continues in Nablus, West Bank (Palestinian Territories) to this day. The soaps are entirely natural, just three ingredients, olive oil, water and sodium. Many people with sensitive skins report an improvement in their skin when using these organic products.